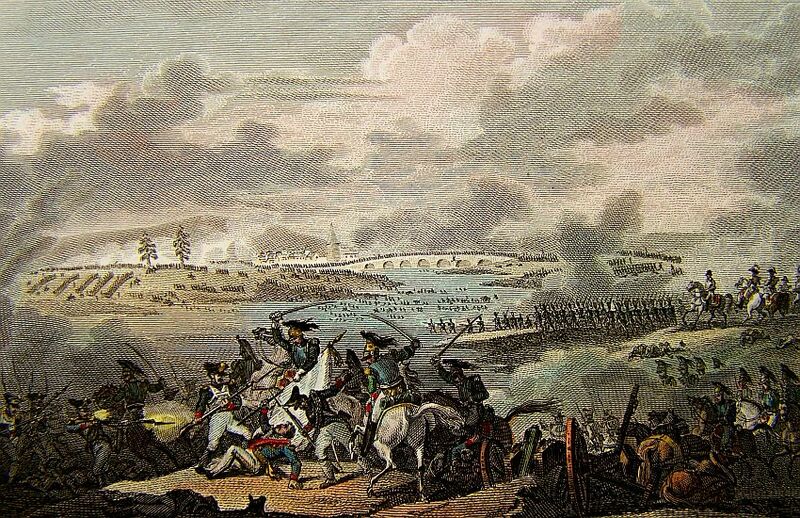 …The enemy is cut and beat on all sides and many prisoners, we have taken equipment and artillery, it is impossible to get back online, the army continued without a break. 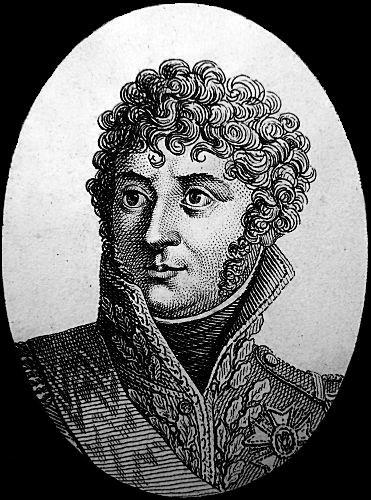 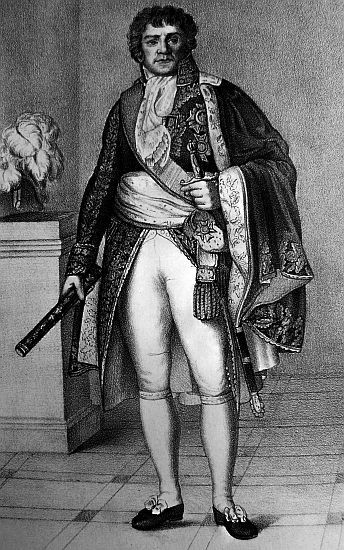 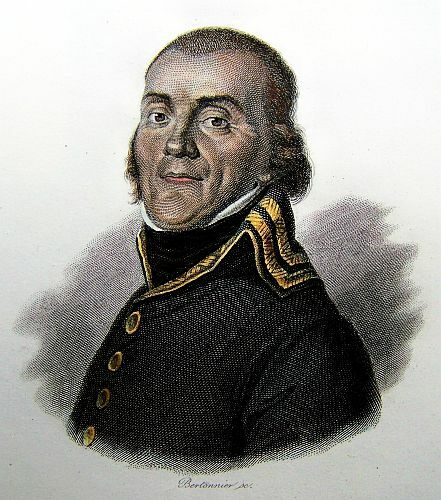 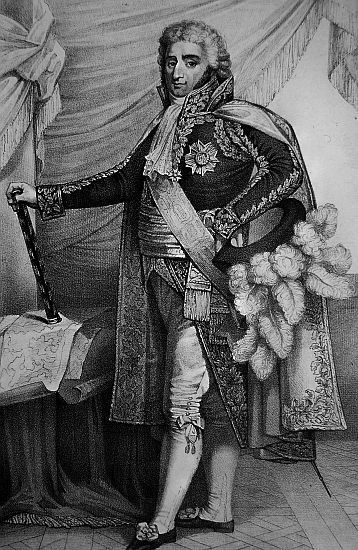 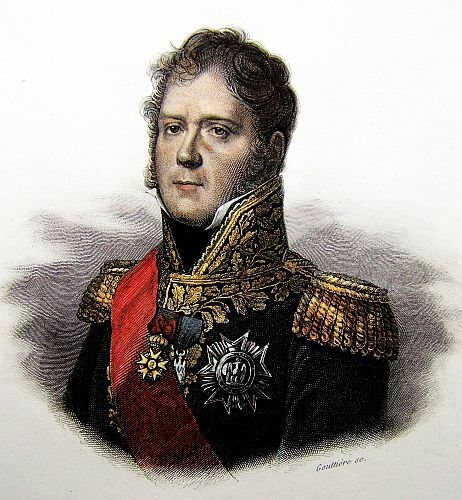 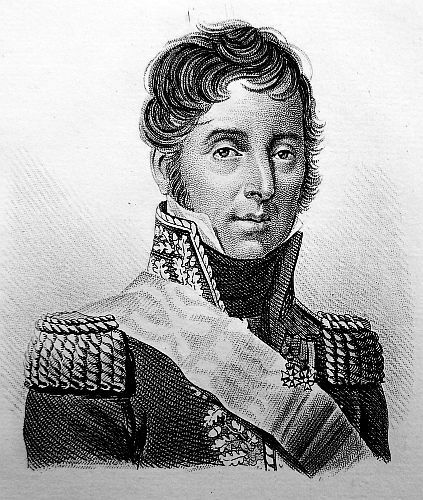 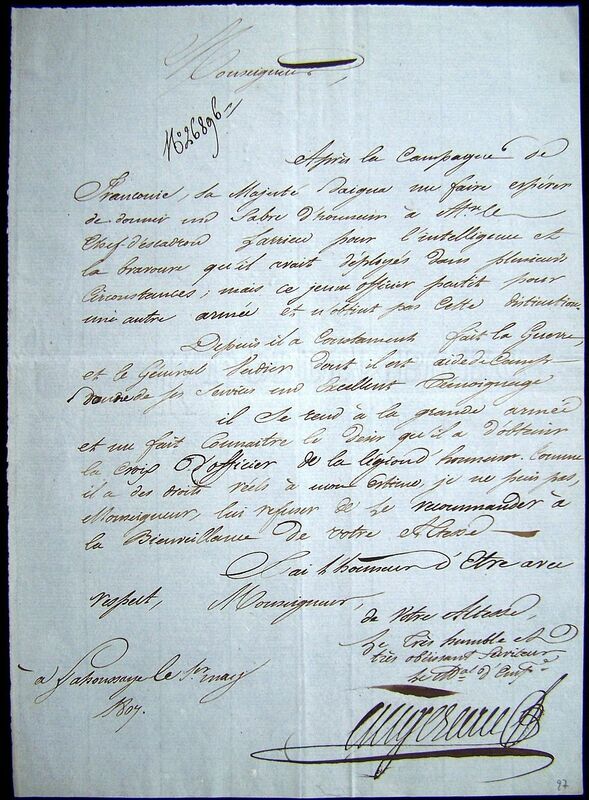 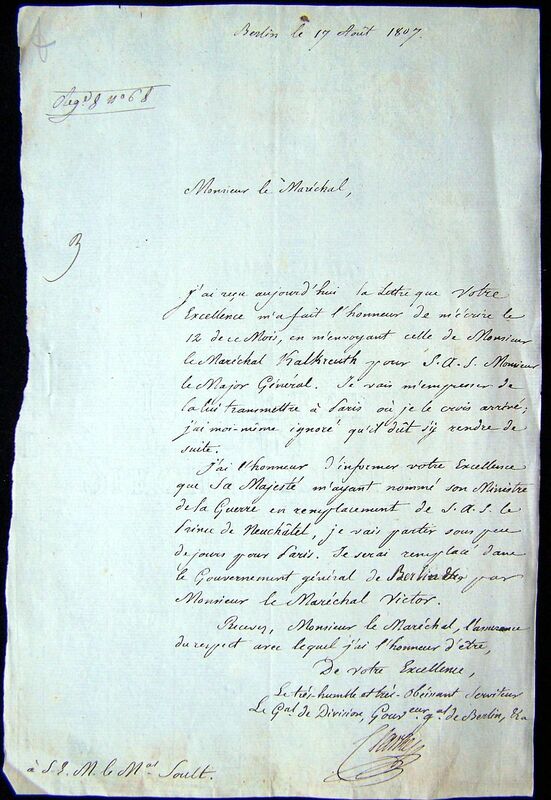 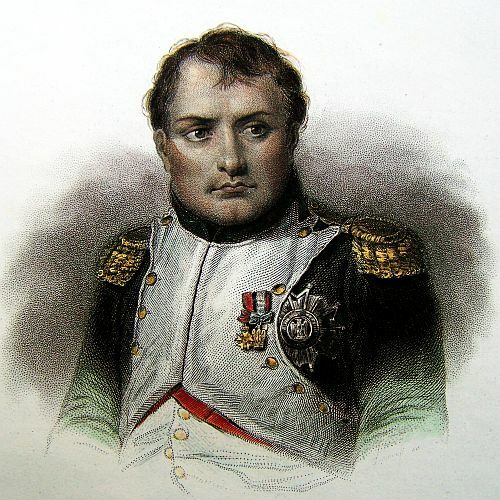 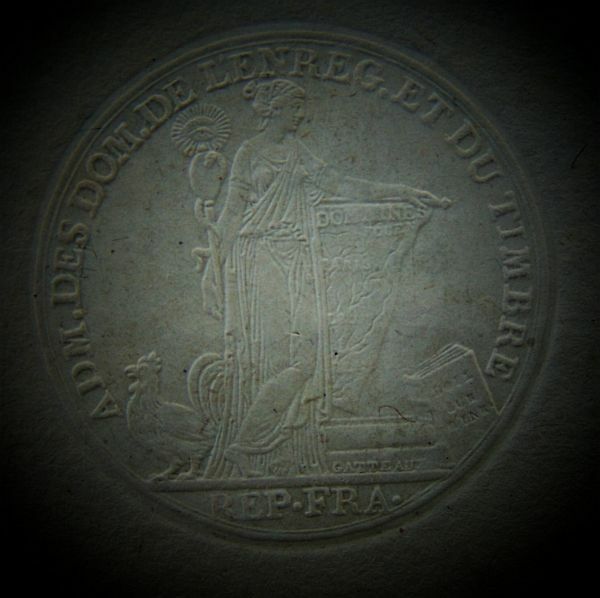 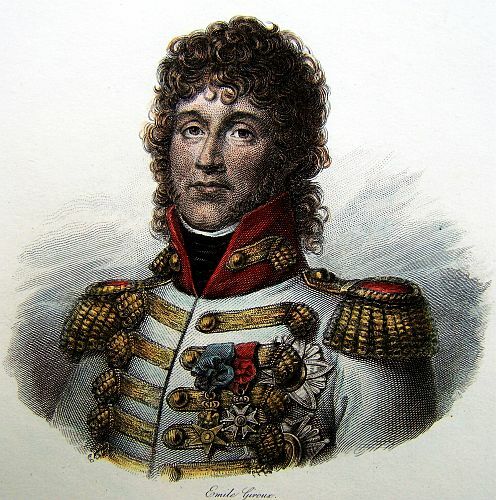 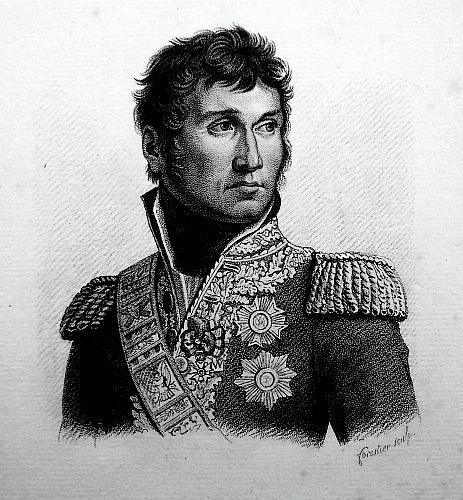 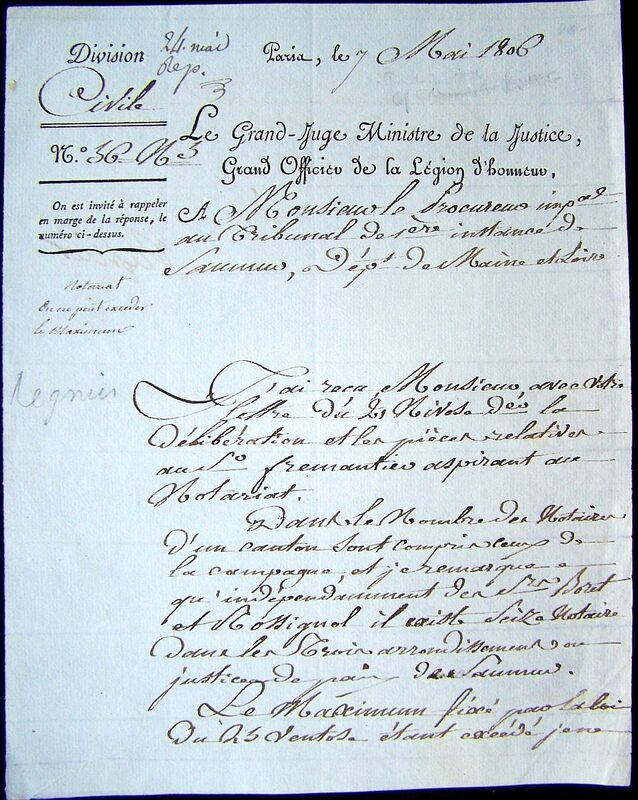 After the campaign of Franconie, His Majesty deigned to make me hope to give a sabre d’ honneur to the Chef d’Escadron Larrieu for the cleverness and bravery he had shown in several occasions, but this young officer left for another army and he did not obtain this distinction. 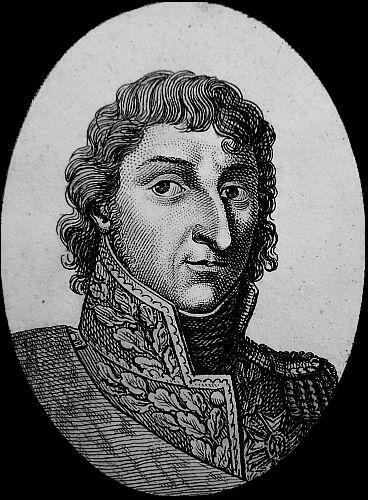 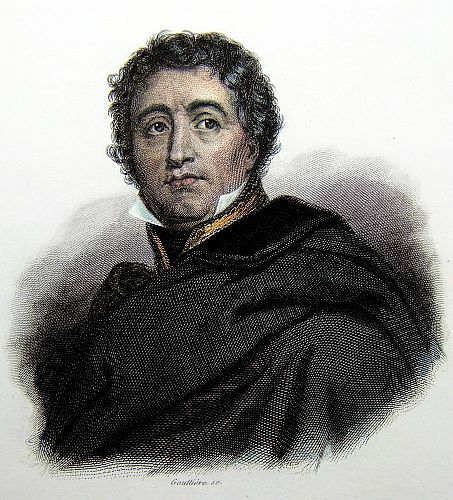 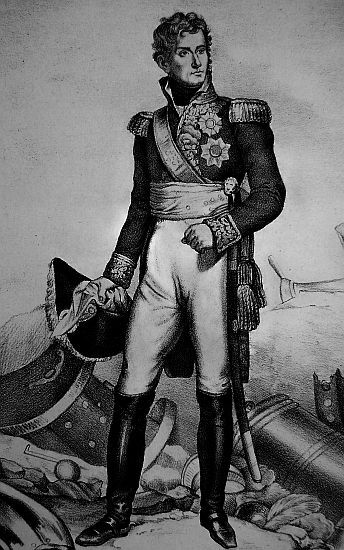 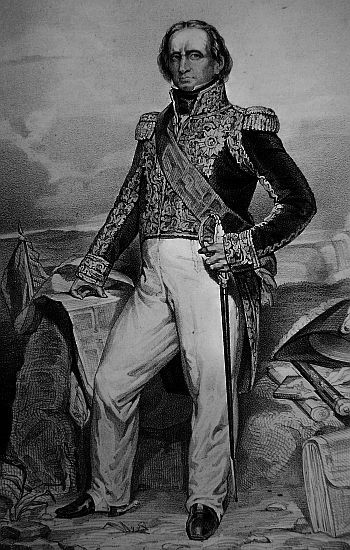 He has since then ever been waging war, and General Verdier, whose Aide-de-Camp he is, gives an excellent testimony of his services. 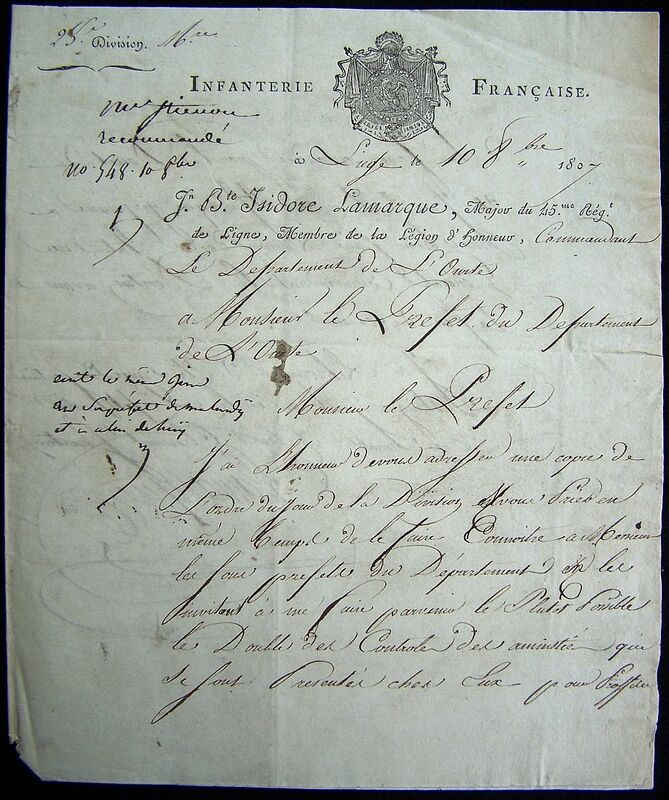 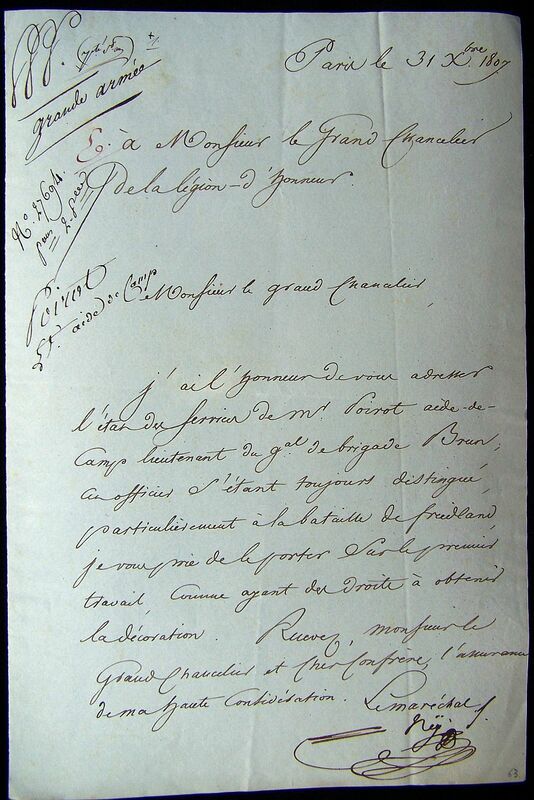 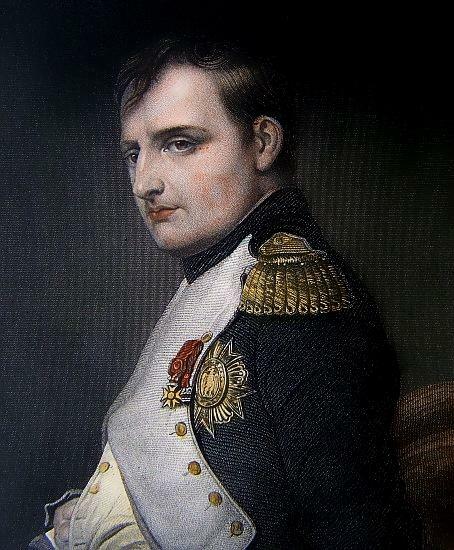 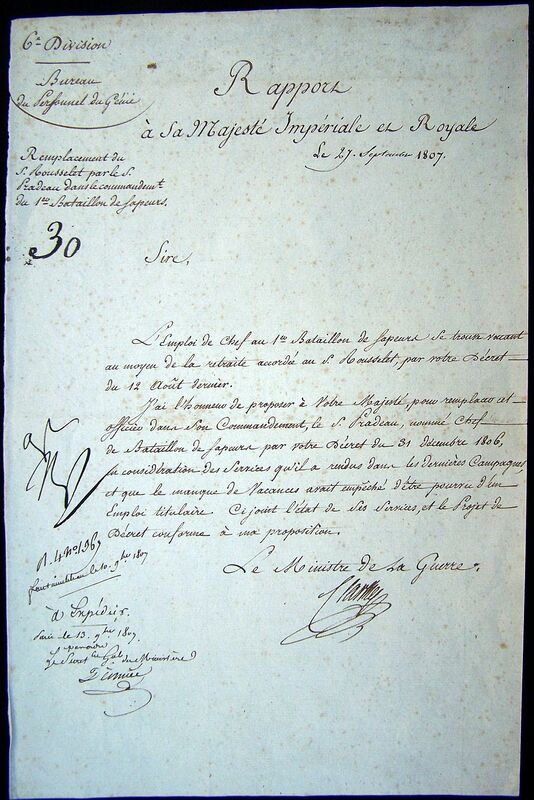 He’s going to the Grande Armée and has let me known his desire to get the officer cross of the Légion d’honneur. 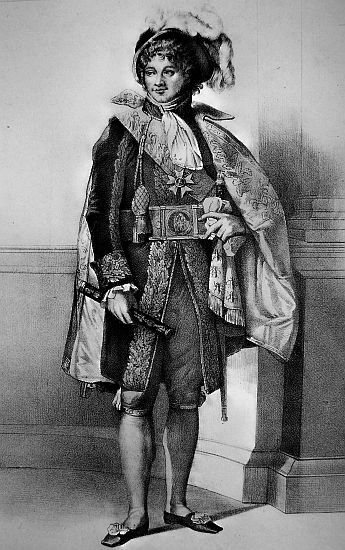 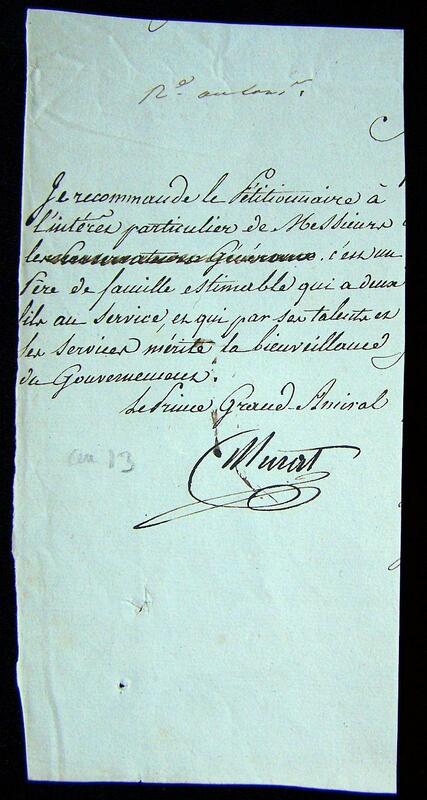 As he has got real titles to my esteem, I cannot, Monseigneur, refuse to recommend him to your Highness’s benevolance. 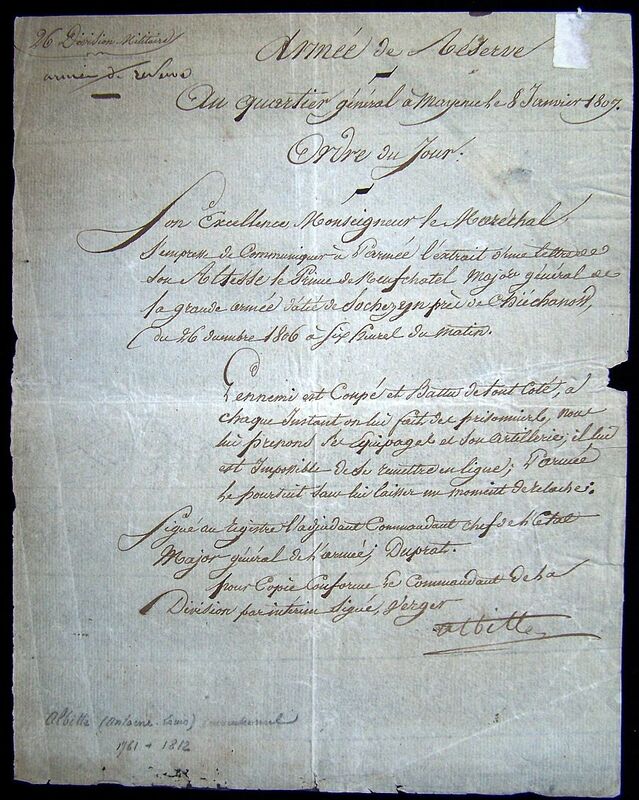 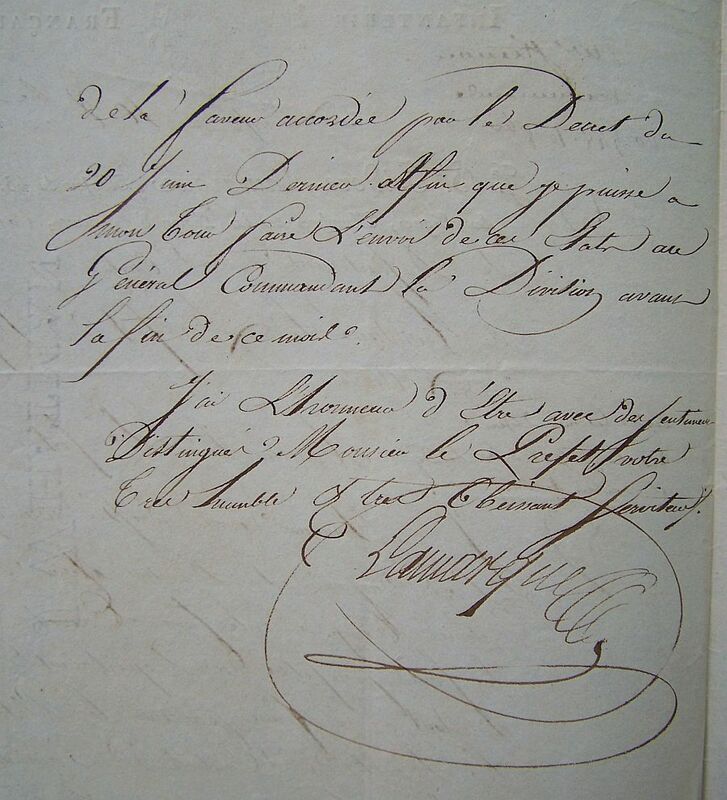 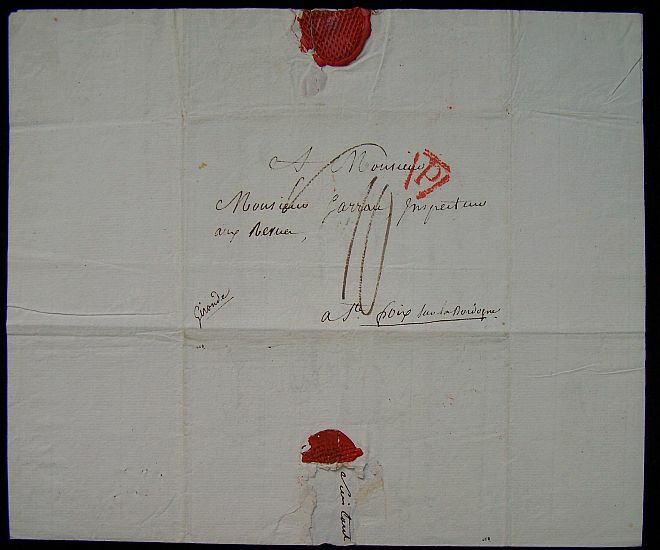 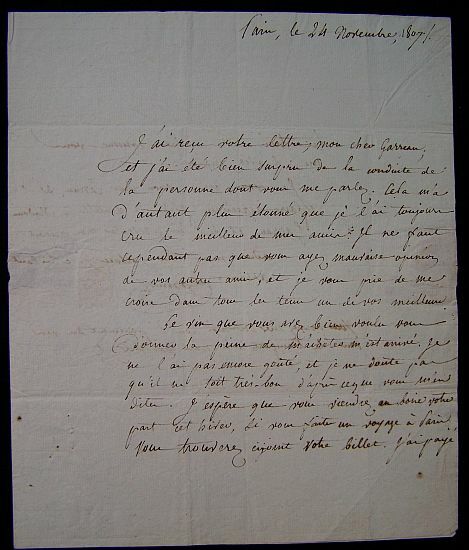 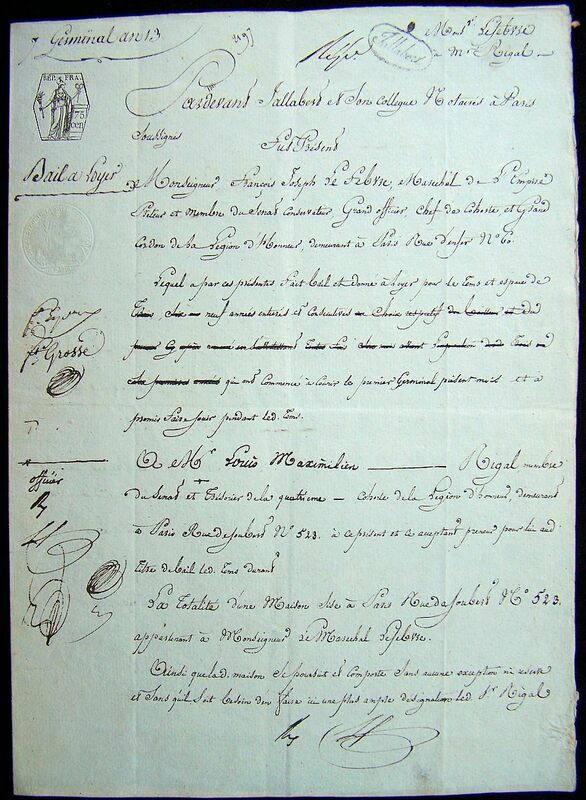 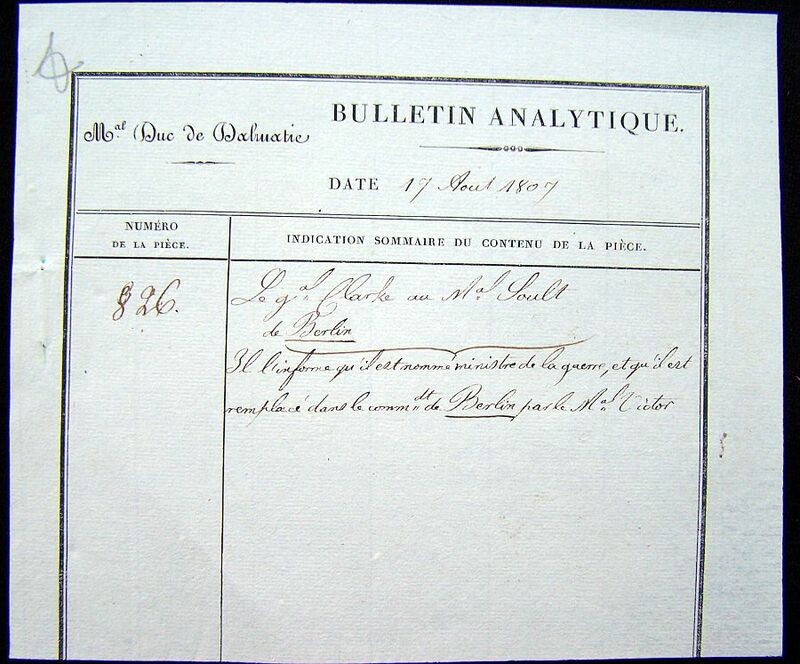 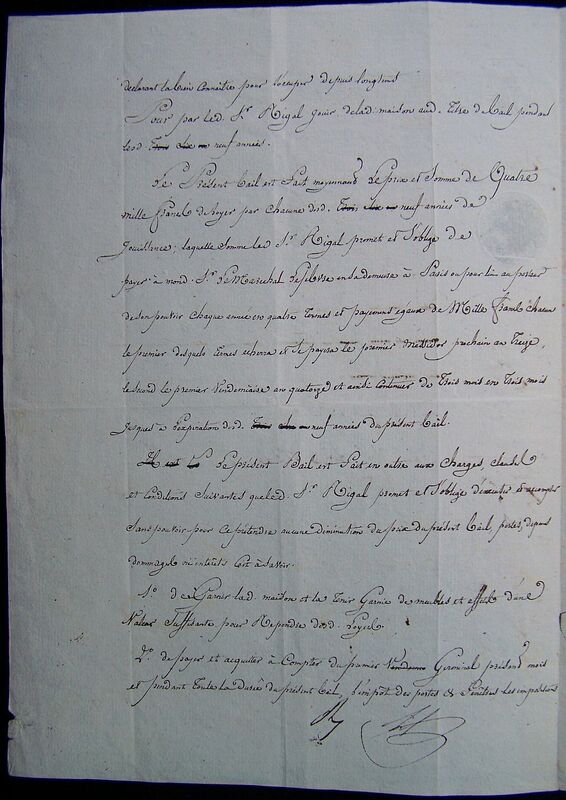 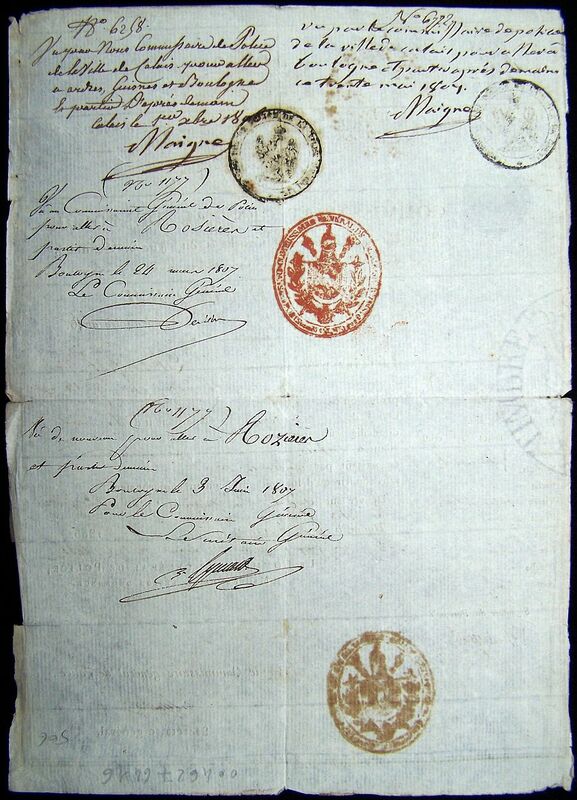 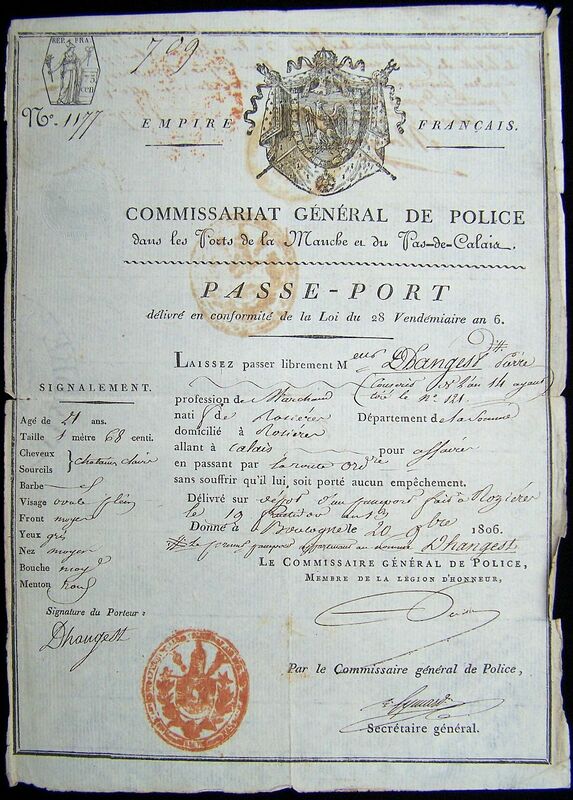 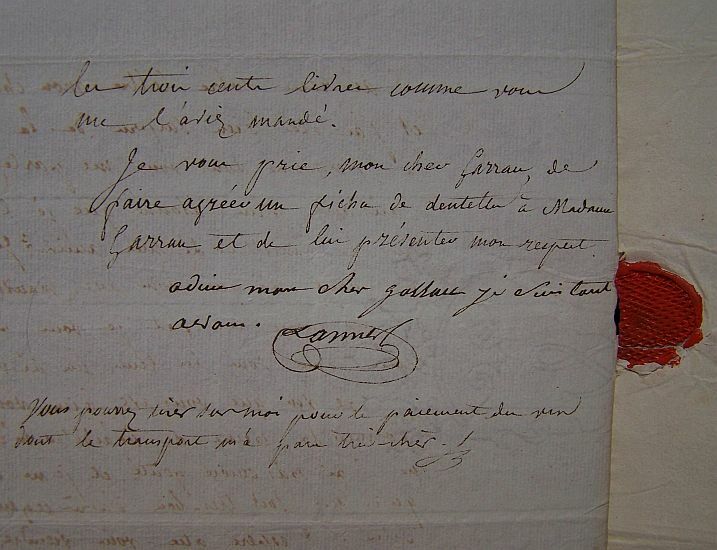 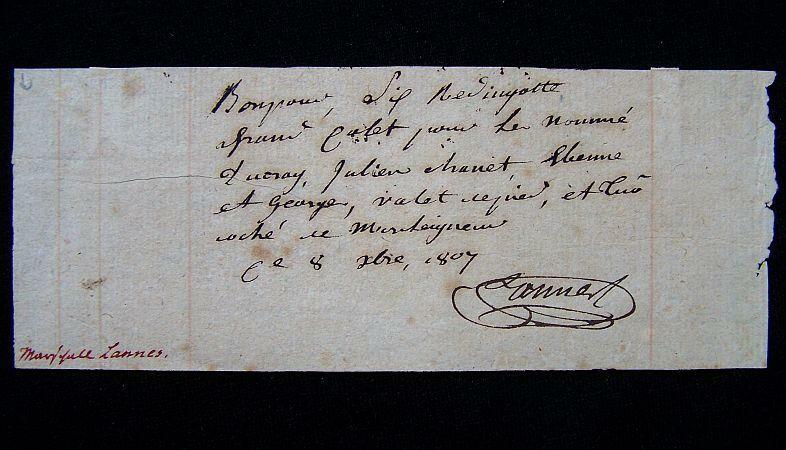 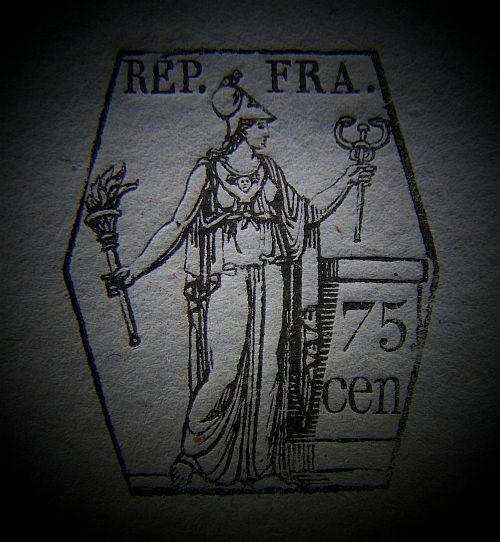 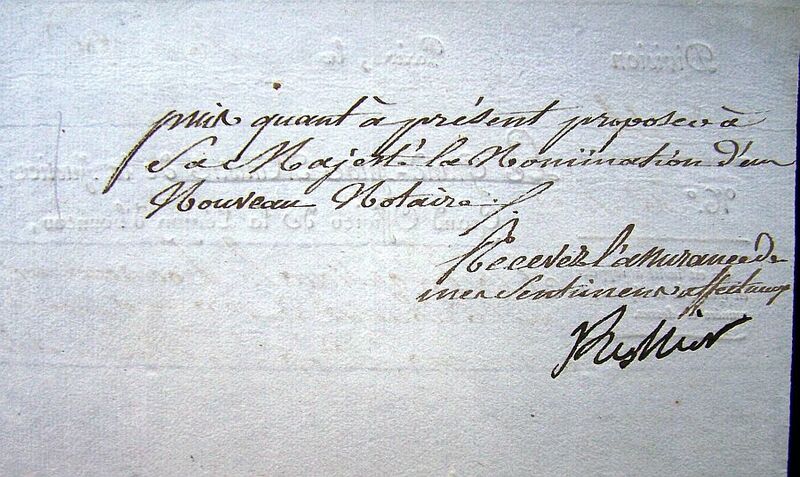 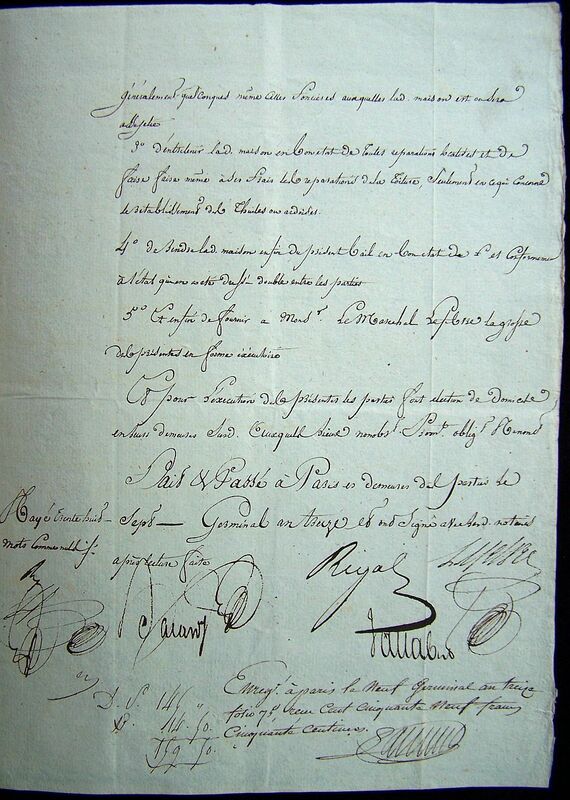 Voucher for six long coats for — Duoray, Julien — Etienne and Georges, footman and coachmen for his lordship. 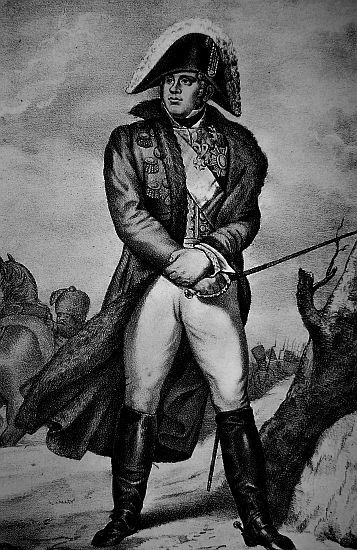 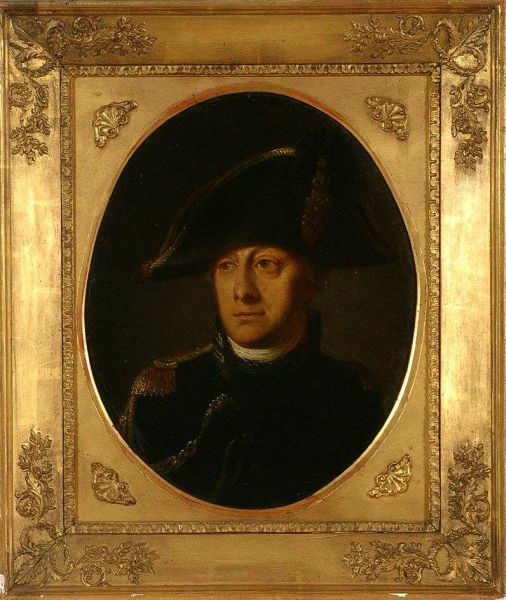 This officer having always distinguished himself, especially at the battle of Friedland, I pray you to insert him in the first work as having rights to getting the decoration. 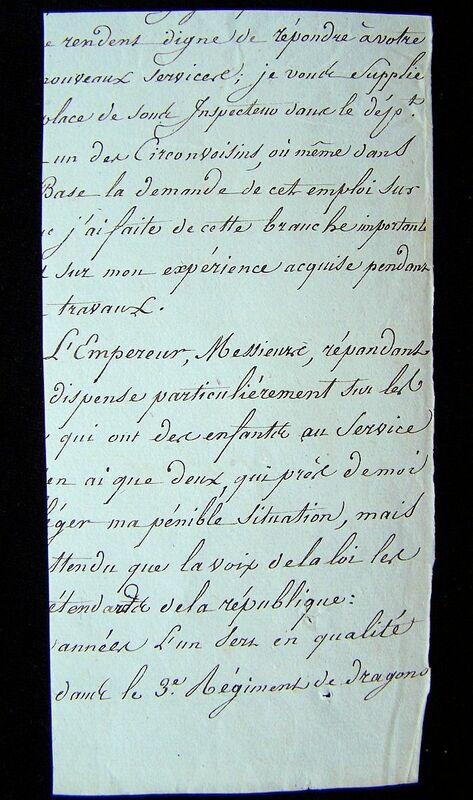 Receive, Monsieur le Grand Chancelier and dear colleague, the assurance of my high consideration. 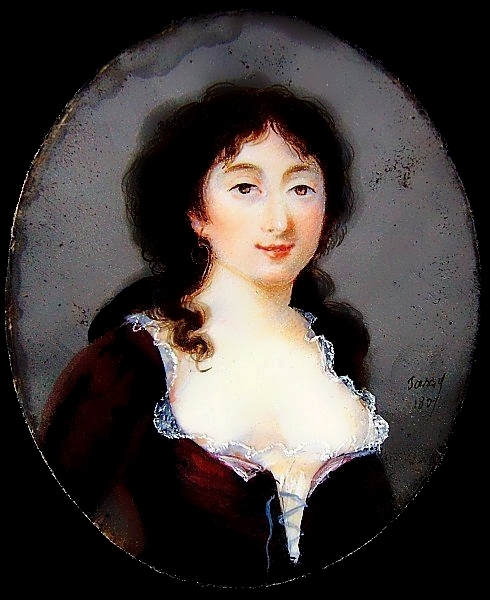 note: This is a miniature portrait of a young girl from Marseille on ivory and dated 1807. 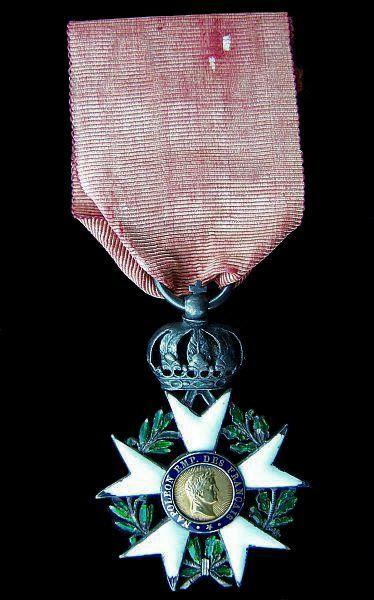 Perhaps for her soldier friend while on campaign. 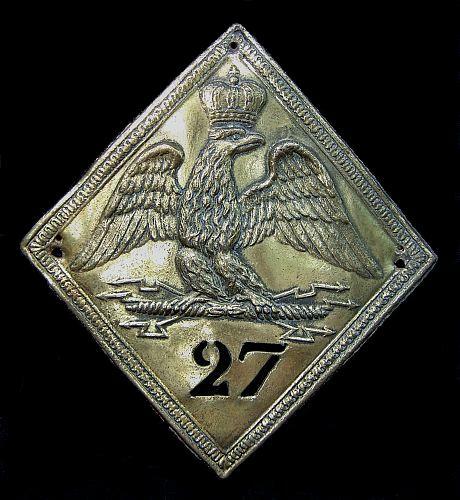 note: This is a shako plate of the 27e. 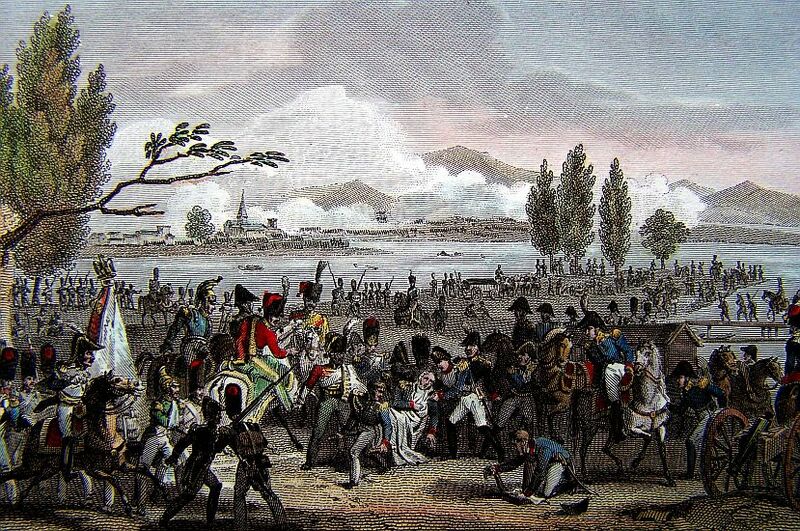 The regiment would fight throughout the Republic and Napoleonic wars.